Cambridgeshire (/ˈkeɪmbrɪdʒʃər/ or /ˈkeɪmbrɪdʒʃɪər/; abbreviated Cambs. 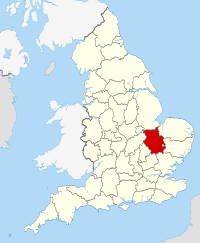 ), archaically known as the County of Cambridge, is an East Anglian county in England, bordering Lincolnshire to the north, Norfolk to the north-east, Suffolk to the east, Essex and Hertfordshire to the south, and Bedfordshire and Northamptonshire to the west. 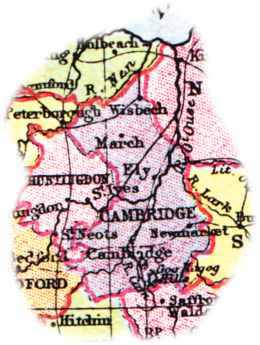 The city of Cambridge is the county town. 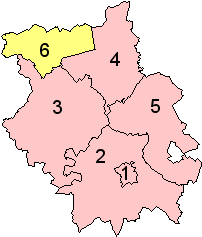 Modern Cambridgeshire was formed in 1974 as an amalgamation of the counties of Cambridgeshire and Isle of Ely and Huntingdon and Peterborough, which had been created in 1965 from the historic counties of Cambridgeshire, Huntingdonshire, the Isle of Ely and the Soke of Peterborough. It contains most of the region known as Silicon Fen. As a result of its role in the formation of the first football rules, Parker's Piece remains hallowed turf for football fans and historians. According to folklore, there are 11 players on each team because, when the game was invented, there were 11 trees on either side of Parker's Piece. In commemoration of the creation of Football; a statue is to be raised in the middle of the park where the game was invented. Cambridgeshire is also the birthplace of bandy, Tebbutt was instrumental in spreading the sport to many countries. 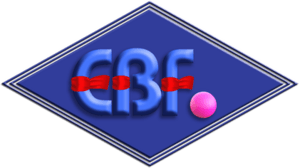 England Bandy Federation is based in Cambridgeshire. Cambridgeshire Facts for Kids. Kiddle Encyclopedia.